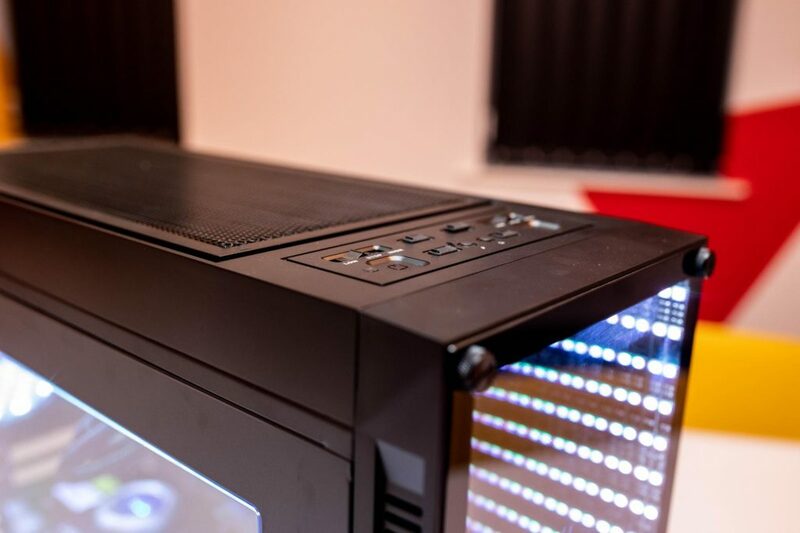 I’m delighted to say I have a new case from GameMax UK to review and this is the first one I’ve had the pleasure of reviewing that’s a Full-Tower. 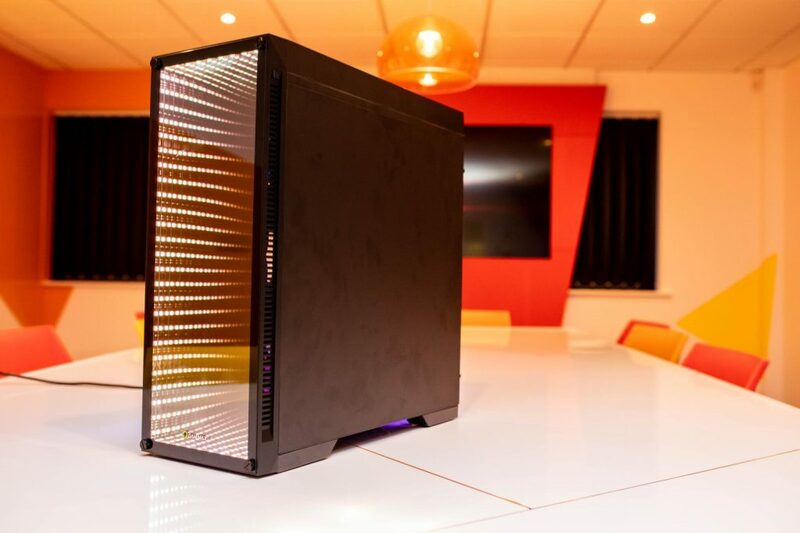 You won’t believe the expansion room inside this thing, it even fits Extended ATX Motherboards! But more on that later; what drew me to this case (I’m sure I can class it as an addiction now) is the RGB capabilities, and oh? 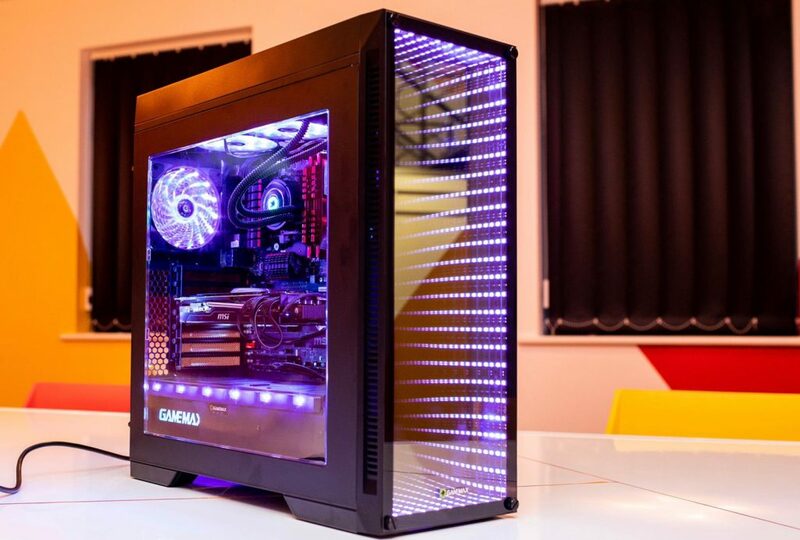 Did I mention it has a freaking RGB Infinity mirror on the front!! Yes, an Infinity mirror! 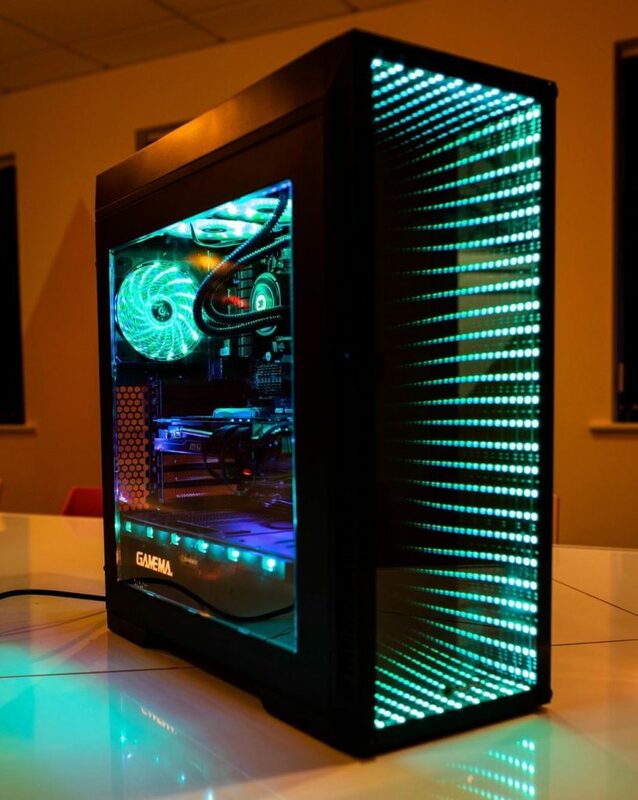 Just look at these pics, no words I write can truly explain this thing of RGB beauty. For this build I used as many GameMax products as possible to do this case justice. I wanted this to be an RGB spectacle. 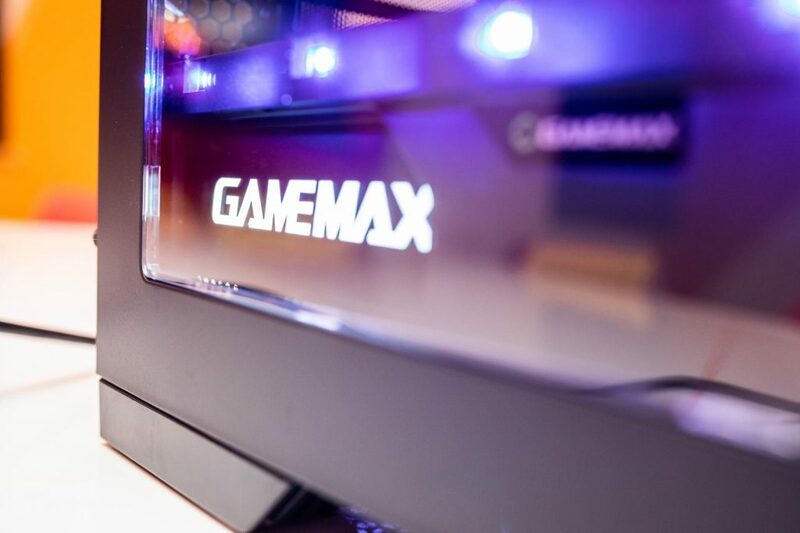 Here we have the GameMax 1050w RGB 80+ gold certified Power Supply, the GameMax Iceberg 240mm AIO and 2 sets of the RGB Caselight Fan and LED kit. First impressions of the case from the get go: as with all GameMax products, I mean ALL, it was very well packaged, with custom cut thick polystyrene specifically for the case holding top and bottom, with a plastic wrap over the case itself. 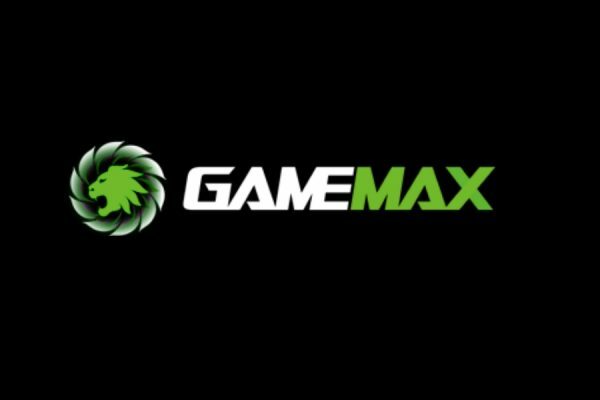 The case came with no scratches, bumps or dents whatsoever and this is down to how GameMax package their products – because they care. We all know and have experienced some damaged items before, and this has never been the case (pun intended) in my experience due to how well it’s packaged. Upon removing the case from the box, you are met with 2 plastic films covering the front tempered glass panel that holds the Infinity mirror that Thanos would be jealous of; and the other covering the acrylic side panel. Also included here is 2 x Fan controllers for Low, Stop and High control and, on the right side, is the LED button to control the RGB modes and cycles. Taking off the front acrylic panel reveals the main compartment of the case, which is massive considering it also includes a PSU shroud for that easy cable management. 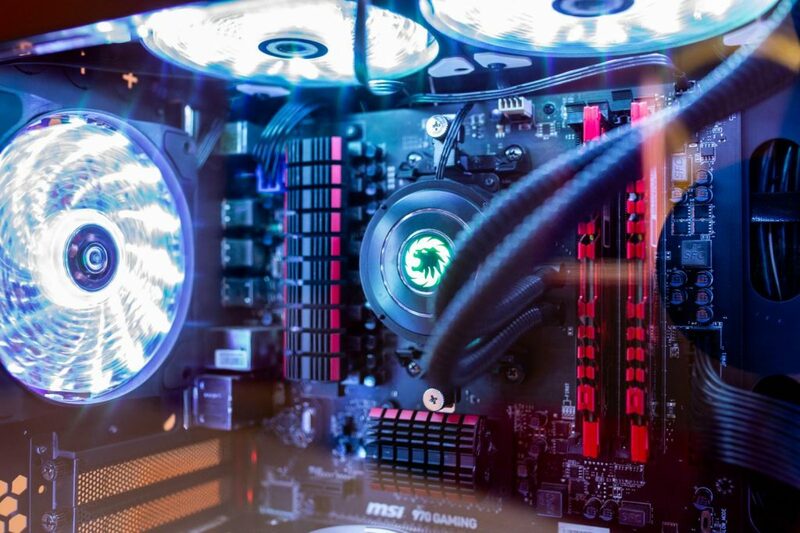 You could easily fit a Pump/Reservoir combo in parallel with the motherboard for that custom water-cooling goodness. You are also greeted with 6 pre-fitted motherboard riser screws already in place for a standard Micro ATX board. Removing the rear panel of the case reveals the User Manual, a box of screws and a handy leaflet explaining how the RGB fan controller board works. 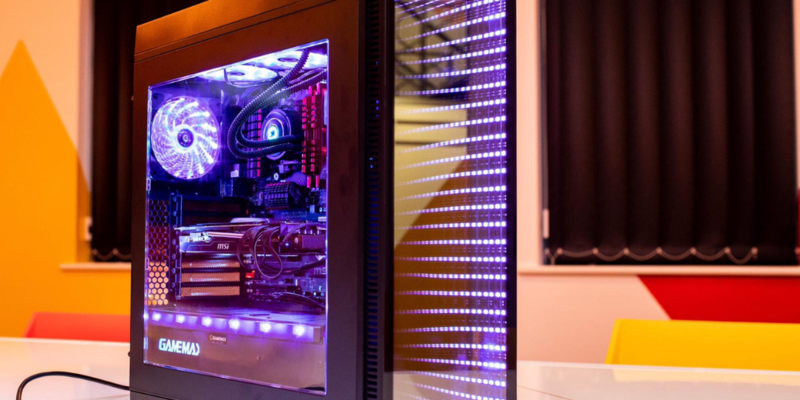 The User Manual contains some basic information on the dimensions of the case and how to fit some components like the Power Supply and Radiators for water-cooling if you so desire. In addition on the back is a 2.5” SSD tray to keep it hidden. The PSU shroud contains a Hard Drive rack mount with trays for easy installation. 2 trays are included and each can hold either one 2.5” drive or one 3.5” drive. Where the PSU mounts is a removable dust tray for easy cleaning and to keep your PSU fresh, and also 2 foam mounting pads to stop the vibrations and possible noise from the PSU. Well thought out design. Here’s the techy specs, to make sure this case will fit and is compatible with the hardware you plan on using. Maximum Air-cooled CPU cooler height is 165mm. Here is where I usually put the negatives or, as I like to say, “Things of note”, but honestly this is a first for me. The case was incredible to work with and I didn’t stumble into any issues whatsoever, not even minor inconveniences. 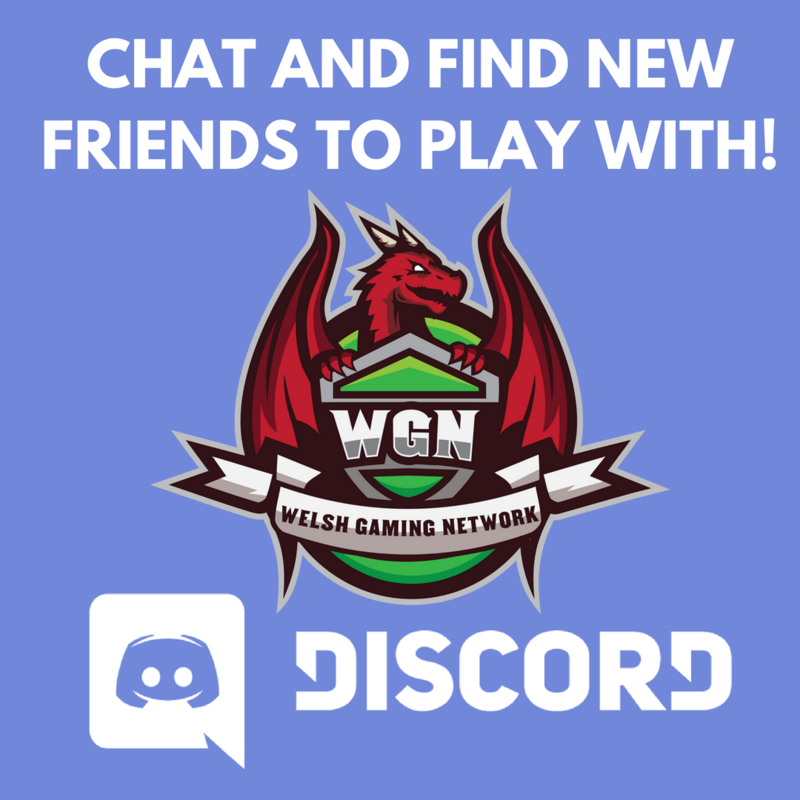 Truly a gaming case for beginners and veterans in the PC building / modding universe. What I would like to leave is some constructive criticism instead. 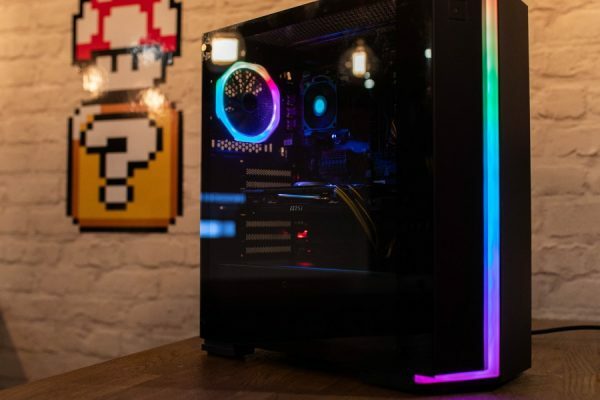 Because this case’s main selling point in my eyes is the Infinity mirror and RGB capabilities, perhaps including a larger RGB controller with more PWM and RGB ports for even more expansion would have been ideal. Putting this build together was a dream; the extra fans from the RGB Caselight set I actually plugged straight into the RGB fan controller included with the case so that these fans would sync with the included rear fan and front LED strip for the Infinity Mirror as these are already plugged into the controller. The room I had with a Full ATX motherboard was more than enough to get my hands in there to properly sort out the cable management, even with the GPU installed. The Rear panel housed a lot of room and cable tie down points to keep the back looking as good as the front. The removable dust trays top and bottom for easy maintenance. I cannot praise this case enough for its easy installation of hardware it offers, the room for expandability and easy maintenance afterwards. A true recommendation from myself to purchase this case from yourself! You can purchase the Game Max Abyss Full Tower on Amazon.